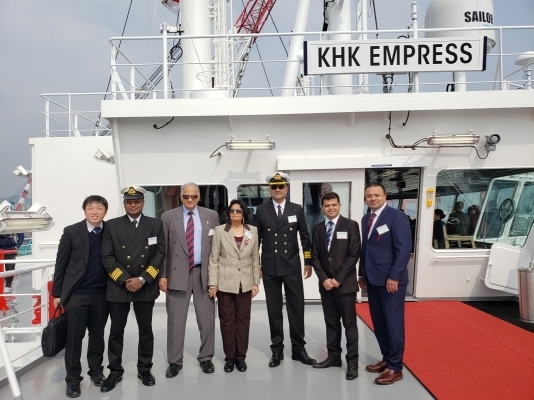 TCC Group took delivery of “KHK Empress”, a 314,014 DWT class newbuilt Very Large Crude Carrier (“VLCC”), from Hyundai Heavy Industries Co., Ltd. (“Hyundai”) on 28th February 2019. 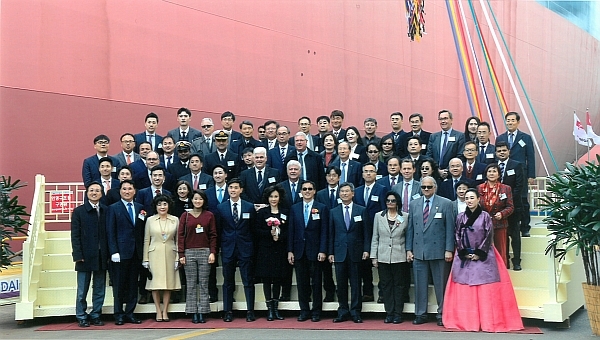 The crude carrier was christened by Mrs. Helen Koo, wife of Mr. Kenneth Koo, Group Chairman and CEO of the TCC Group. 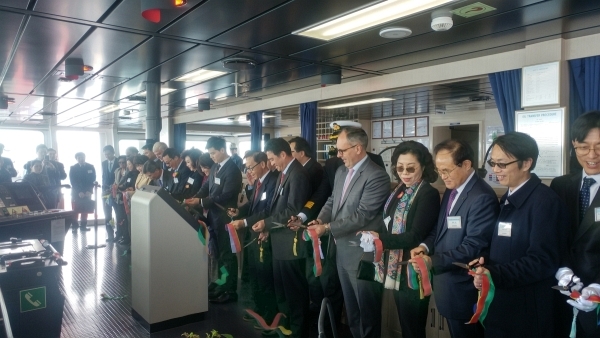 Representatives from the ship owner, shipyard, financiers, classification society, manufacturers and guests witnessed this momentous occasion. The vessel carries the prefix initials of “KHK” in her name in memory of TCC Group's late co-Chairman, Mr. K.H. Koo. 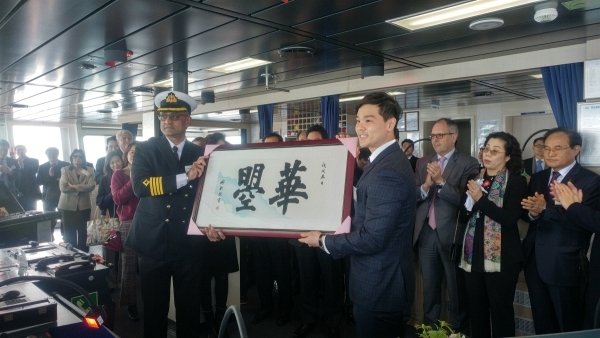 Upon delivery, “KHK Empress” commenced her time charter to BP for five years, which signifies our long term on-going cooperation with BP. Together with “KHK Empress”, TCC Group now operates a fleet of six tankers and ten bulk carriers for world-wide trading. A sister newbuilding VLCC from Hyundai’s shipyard in Ulsan, Korea is also expected to be delivered in May 2019.